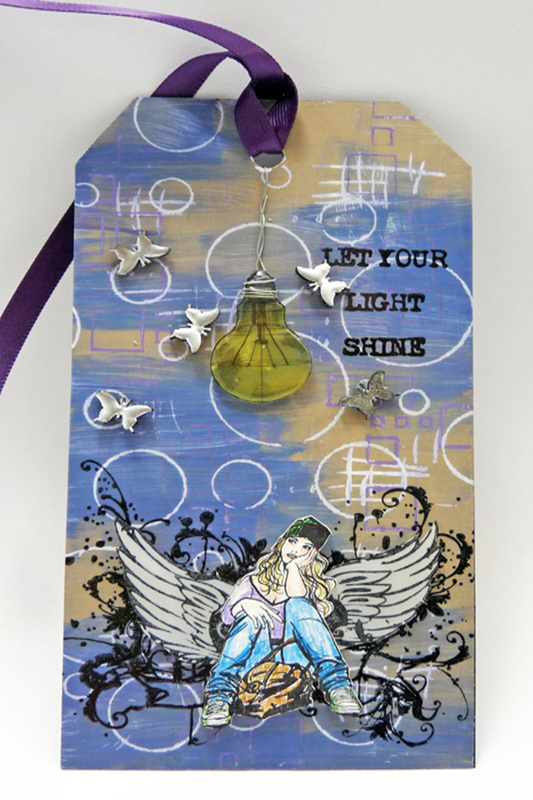 Project Description: Create customized tags like the Girl with Wings Mixed Media Tag using Grafix Dura-Lar, Shrink Film, and Artist-tac. Girl in Thought, Tattoo Heart. Shine Bright stamp sets. 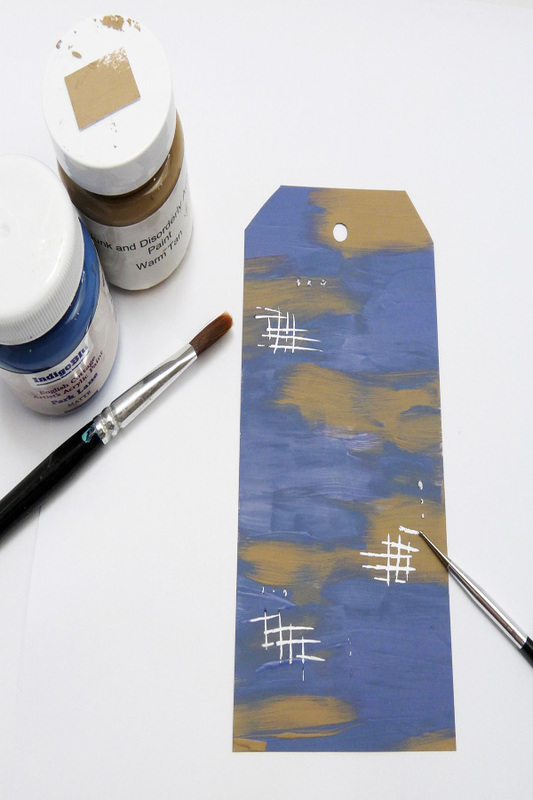 Randomly paint two colors of paint in horizontal stripes to one side of the Wet Media tag. 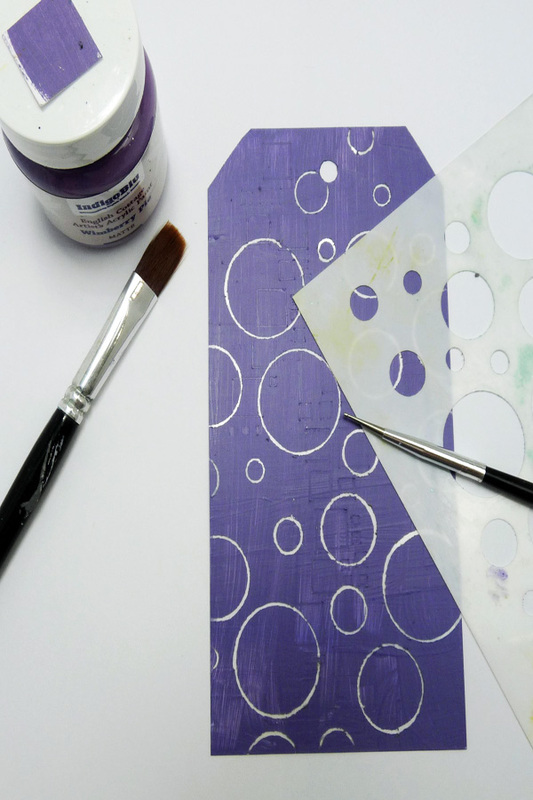 When dry scratch a pattern into the paint with the embossing tool, brush away any loose material. Paint over with the white gesso. 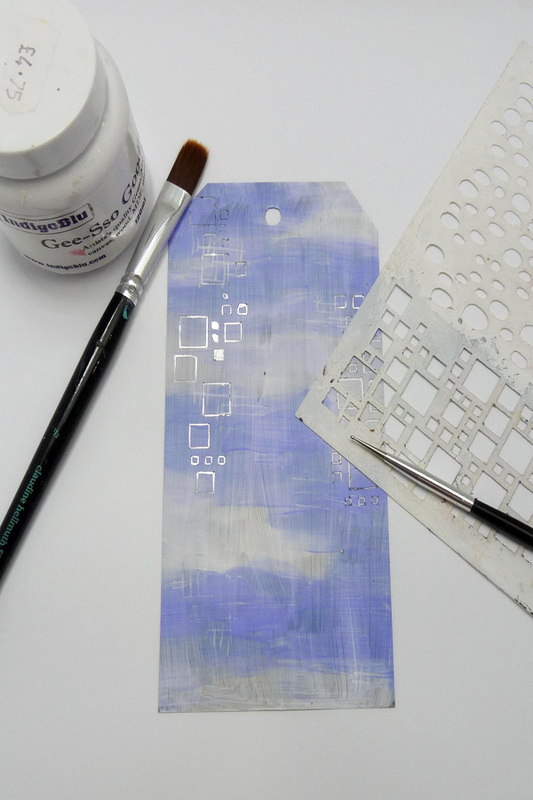 When dry scratch a pattern from the stencil into the paint with the embossing tool, brush away any loose material. Paint over with a third color. 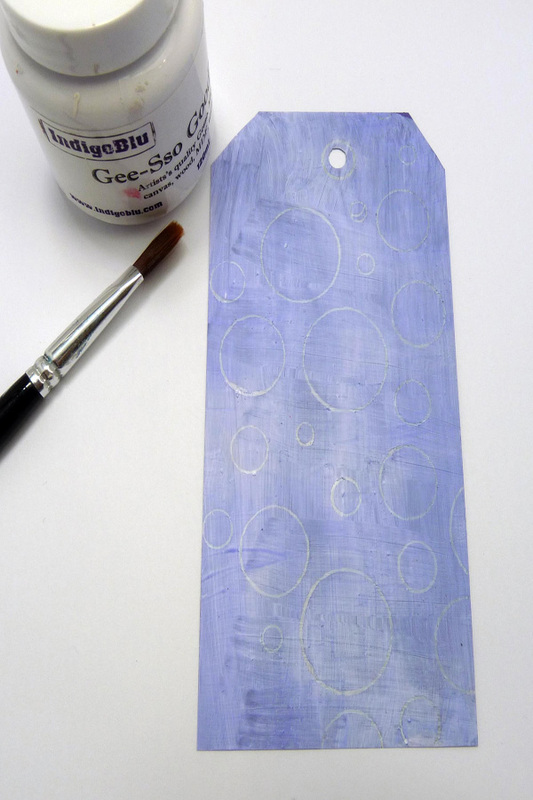 When dry scratch a pattern from the stencil into the paint with the embossing tool, brush away any loose material. Paint over with the white gesso to finish layering, leave to dry. 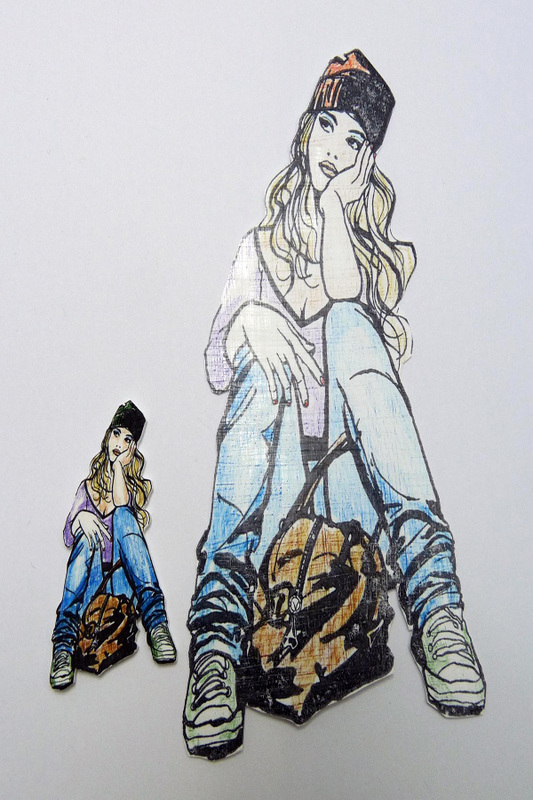 Use the Artist-Tac to attach to the back card background, paint side to the card. 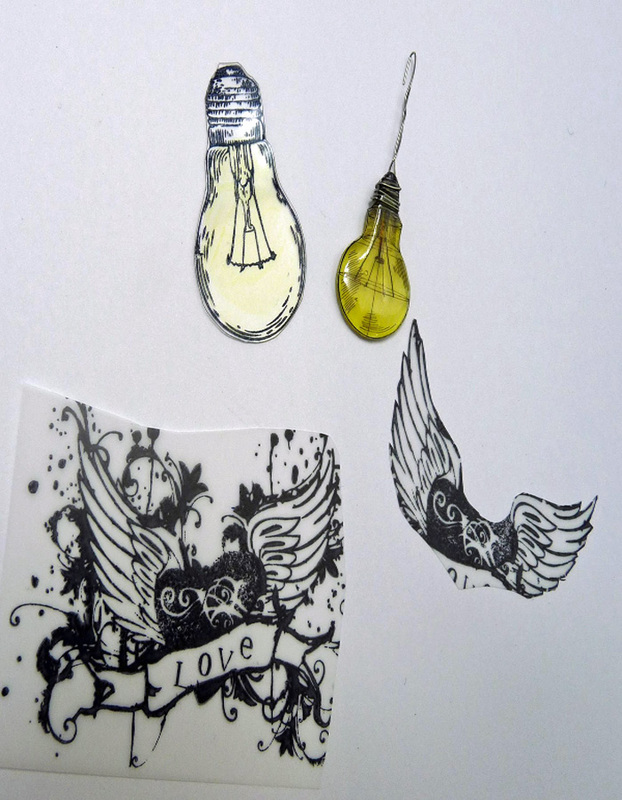 Stamp the sentiment and Tattoo Heart with black StazOn as shown. 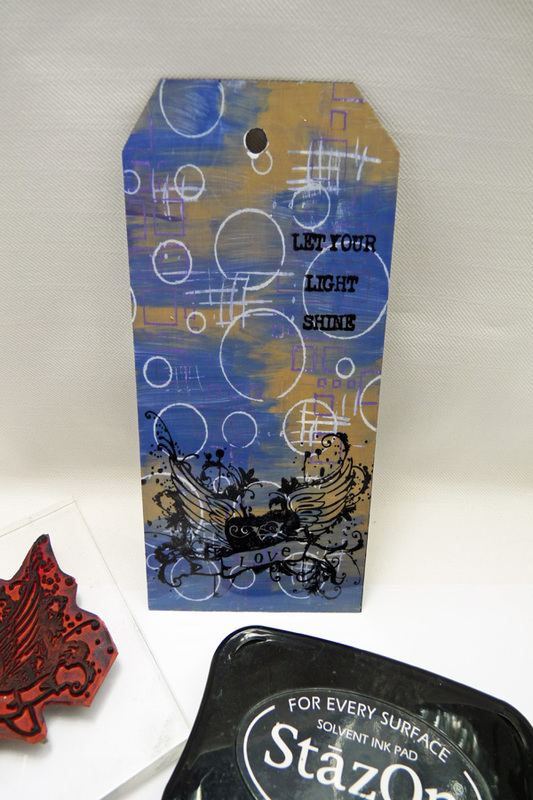 Finish the tag by attaching the ribbon and adhere all the elements to the background with silicon glue as shown. Any good make of acrylic paint will work and it is not necessary to add water when painting. I used Liquid Glass from DecoArt, liked the effect but it did take a long time to dry, you could use Glossy Accents or even two part resin. Remember color will intensify as the film shrinks so shade the image lightly. The embossing powder will remain liquid and hot for a few minutes and will burn skin. The packaging will have instructions to use the Artist-Tac adhesive and Shrink film. I prefer to shrink using a heat tool and I have a wooden block to control the shrinkage. 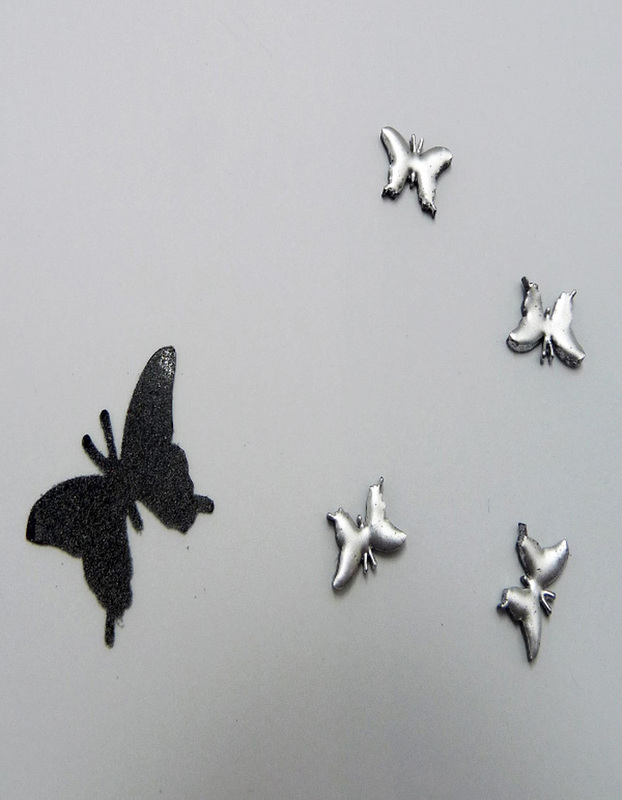 If using embossing powder then don’t try to hold it down as the powder will become liquid when heated.